We have been delighted to award 4 more services their Achieving Quality Scotland award. All services demonstrated high levels of quality across their practice. These are fantastic achievements and we wish to thank all the staff and everyone else involved for their hard work. “Thank you for our AQS report we were all thrilled. 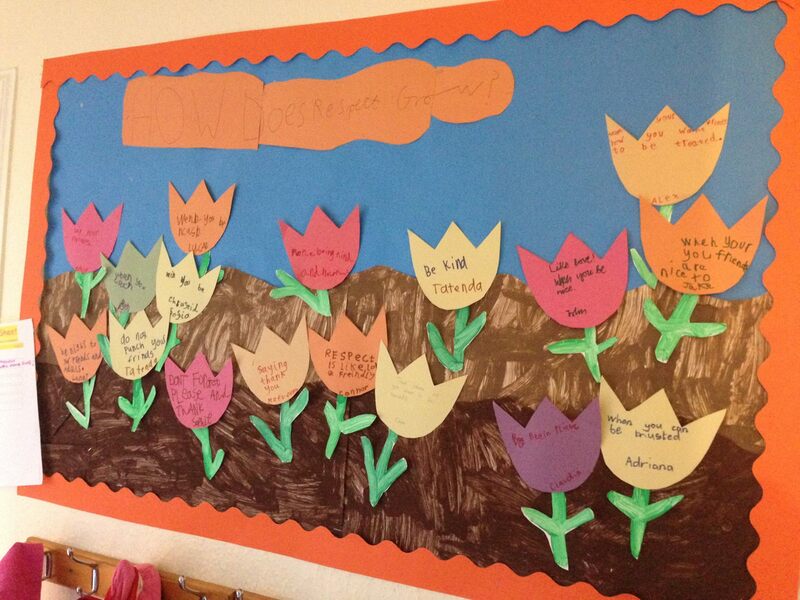 We all learned a lot about ourselves and found out a lot about others. We did a great spring clean of our policies, our procedures, our practice and our premises. Working towards the award was a great way for everyone, children, new staff and parents to become more involved, to gain a better understanding of what we do and what we are trying to achieve. There is always room for improvement and when we reviewed our practice with a more critical eye and combined this with the AQS criteria we added and changed things in our service. The children did the bits they wanted to do and to them it was just fun. “Doing AQS gave us the focus we needed to revise our policies and ensure we had all our 'essential' documents up to date and relevant. Staff, parents and children became more aware of what we do and began to understand that evidencing what we do can have a positive and worthwhile outcome. We know we are doing a good job, but to have our service put under scrutiny and then come out with the award is the perfect affirmation. 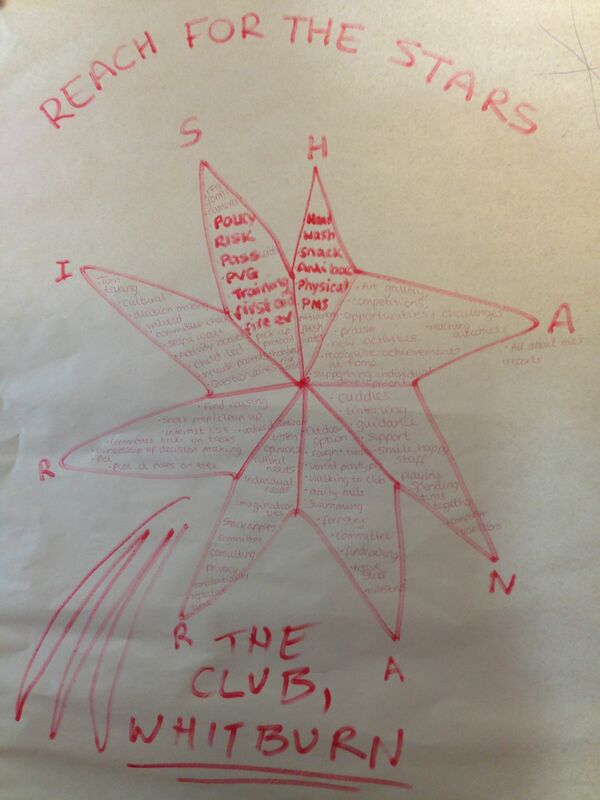 Also, undertaking AQS also made us realise how important it is to get involved in projects out with our service. We are very proud to have achieved this at long last and, to get the 'Gold Award' on this our 25th Anniversary year was a bonus! We now have 80 out of school care services registered for AQS over 15 local authority areas. If you are interested in finding out more, then please get in touch. On Monday 5th June Andrew Shoolbread and Irene Audain from SOSCN attended Aberdeen City Council's Conference for Out of School Care. 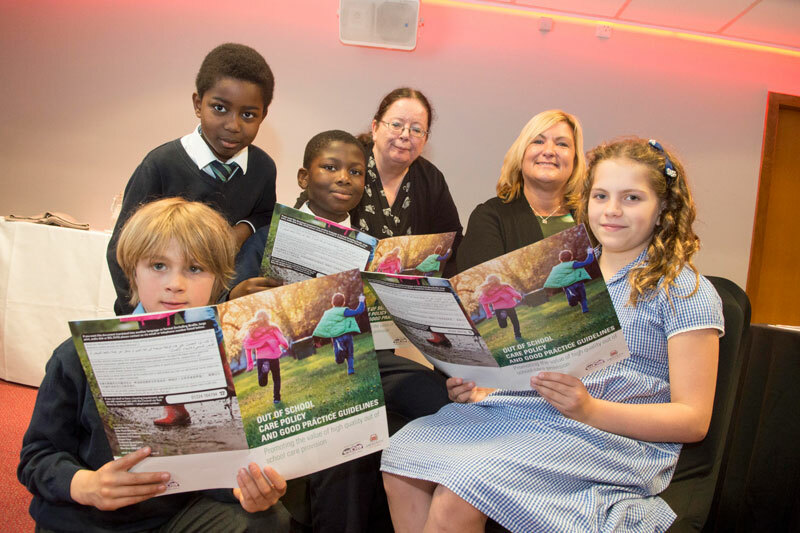 At the event, the council's new Out of School Care Policy and Good Practice Guidelines were launched. 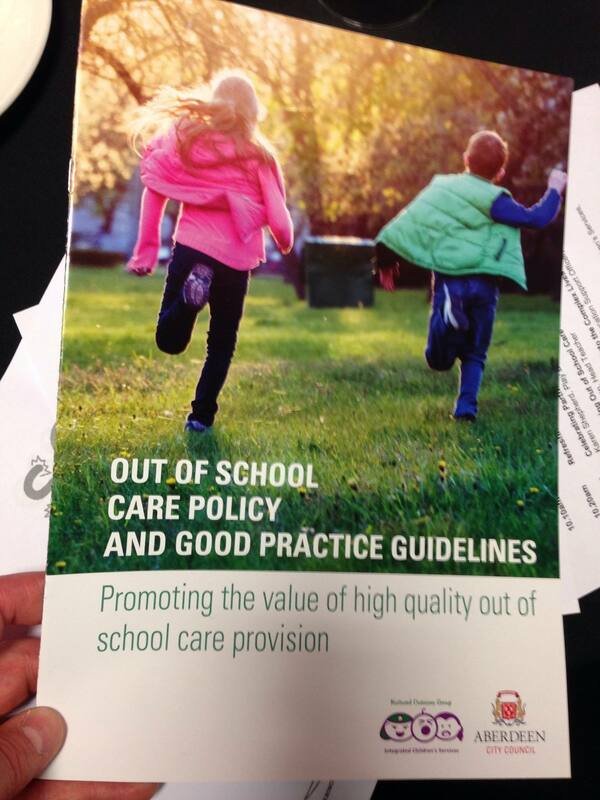 The policy aims to promote the value of high quality out of school care provision to all stakeholders. 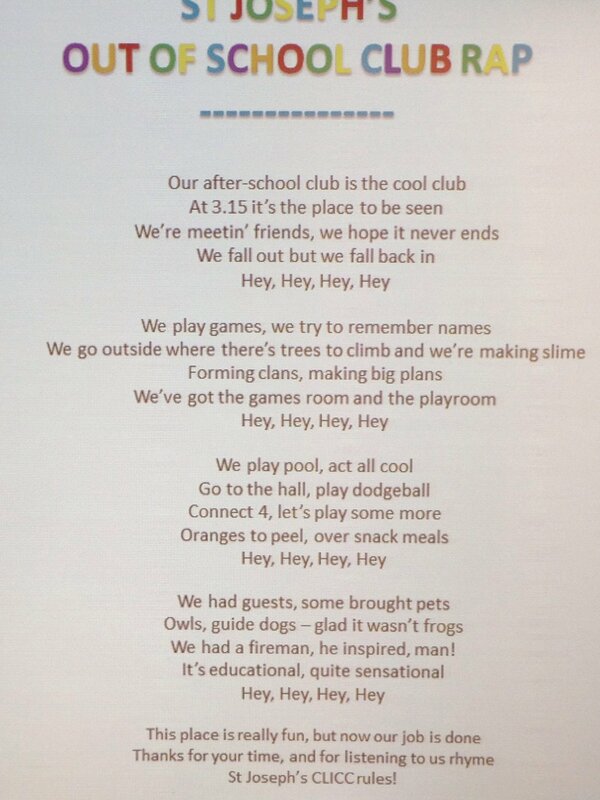 Delegates at the event were also entertained by a fantastic rap from the children of St Joseph's Out of School Club, Aberdeen. Here's the children from St Joseph's Out of School Club with their copies of the policy. Also pictured are Irene Audain, Chief Executive, SOSCN (left) and Gayle Gorman, Director of Education and Children's Services, Aberdeen City Council (right). SOSCN is pleased to introduce a new nutrition partner: Grub4Life, and together we aim to provide training, support and nutrition solutions for our members. 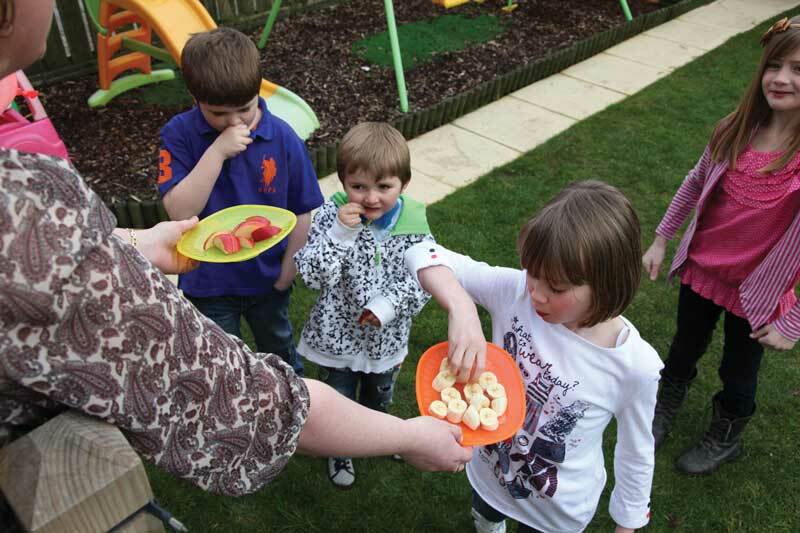 Grub4life have worked throughout Great Britain, supporting Local Authorities, Professional Bodies, large commercial childcare groups and individual providers. They bring with them experience of nutrition training, menu planning, recipe development and a wide range of 'pick up and use' resources. More recently their work has expanded to the out of school care sector. Grub4life have developed a range of face to face and on-line training modules covering all aspects of children's nutrition. Grub4Life can help fulfil a variety of needs: refresh your understanding of the differences between good nutrition for children and adults; go more in depth to become an in-house Food and Nutrition Ambassador or develop your own activities and modules for staff and children. Although there is a cost attached to this, Grub4Life will help access funding to cover the cost of this training where possible. Grub4Life can help ensure the nutritional quality, portion size guidance and food allergy compliance for Clubs serving light meals and snacks. Grub4Life have hundreds of tried and tested recipes. You too can develop your own bespoke, balanced menu or use recipes for special nutrition events and cooking classes. Some SOSCN members are already working with Grub4life to apply for funding for bespoke nutrition projects- one club plans to develop their own holiday cooking club where children will learn about nutrition while cooking recipes to take home for the family to enjoy. Another wants to fill the nutrition gap they see for the primary 6&7 children with a specially created cooking course to tie in with a vegetable growing project. Grub4Life are supporting these groups to apply for funding for their nutrition projects and training. 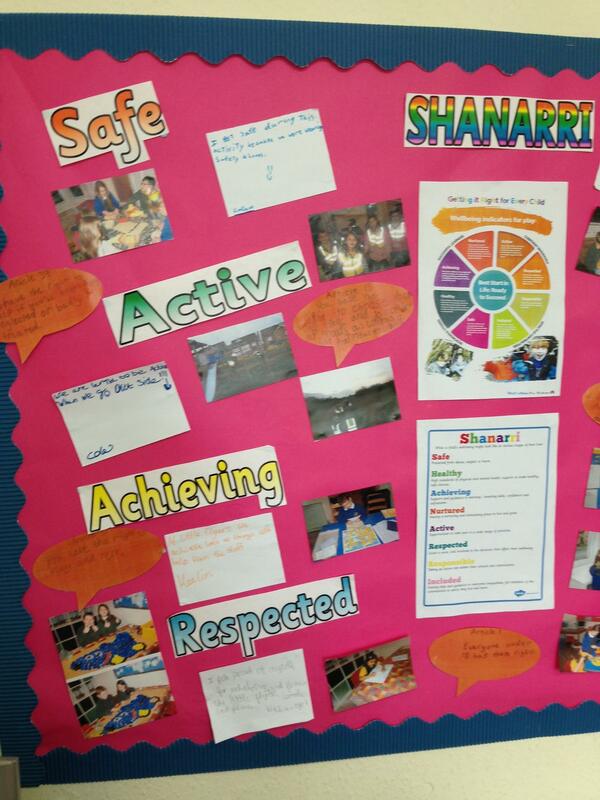 Wellbeing and the associated SHANARRI (safe, healthy, achieving, nurtured, respected, responsible, included) indicators are central to the Getting It Right For Every Child (GIRFEC) approach. By the end of the session participants will have a clear understanding of what wellbeing is and how they can achieve better outcomes for the children in their care using reflexive practice based upon the SHANARRI wellbeing indicators. This training session will look at how to successfully implement the SHANARRI wellbeing indicators within daily out of school care practice, and how to evidence this, including the creation of children's personal development plans. We shall look at each wellbeing indicator and what this means in terms of developing good practice, how this relates to the UNCRC and also signpost to additional resources. The sessions last 2 - 2.5 hours and are suitable for a maximum of 20 participants and a minimum of 5 services. Please note that this training is not designed to train whole (or nearly entire) staff teams unless the service operates a minimum of 5 services. SOSCN can deliver the training for free but interested individuals will need to organise the venue and bookings for other services. This is ideal for local out of school care networks or groups of local out of school care services which would like to undertake collective training. The Scottish out of School Care Network is currently taking bookings for FREE Activity & Wellbeing: the next Steps training to out of School Care Services across Scotland. 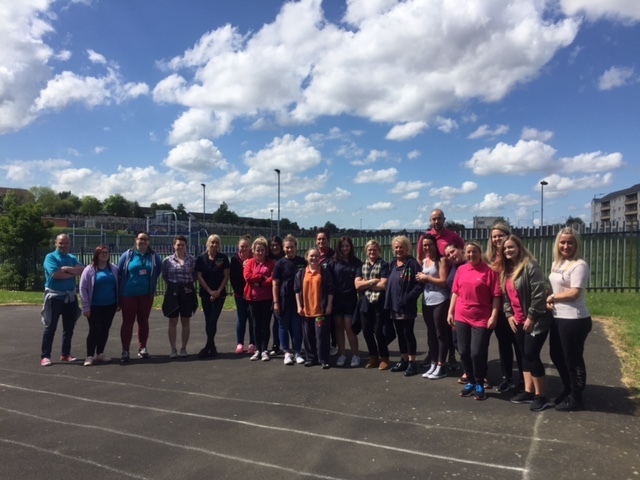 The training follows on from the Activity & Wellbeing: the first steps training and allows staff to further develop their knowledge and experiences on physical activity. The training uses Education Scotland's Physical Activity resources Better Movers and Thinkers which is designed to develop the ability of all children and young people to move and think in a more cohesive way i.e. memory, planning and goal-directed behaviour. 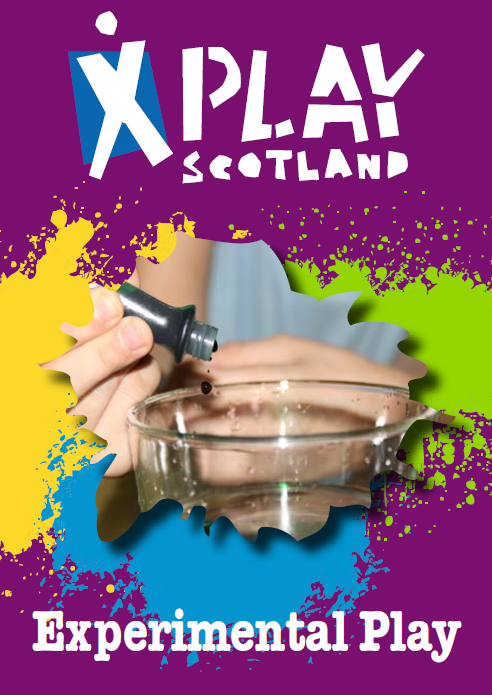 The training also uses Education Scotland's Significant Aspects of Learning which promotes the development of activities to challenge children and promote inclusion. The training reinforces the experiences and outcomes children and young people should be introduced to whilst being active, for example participating in a wide range of activities which promote a healthy lifestyle, develop self-awareness and respect for others. Staff members who have already taken part in the first step training are welcome to return and further develop their knowledge using BMT (Better Movers and Thinkers) and Significant Aspects of Learning. In order to attend the next steps training staff do not have to have attended the first steps training. During the training staff will have the opportunity to experience the theory behind both resources through discussion and practical group activities. This will be an invaluable experience to staff in enhancing knowledge and understanding of the theory behind wellbeing and play activities within their service. If you are interested in booking a session, please email Greig Cavanagh - greig.cavanagh@soscn.org - to request a booking form. 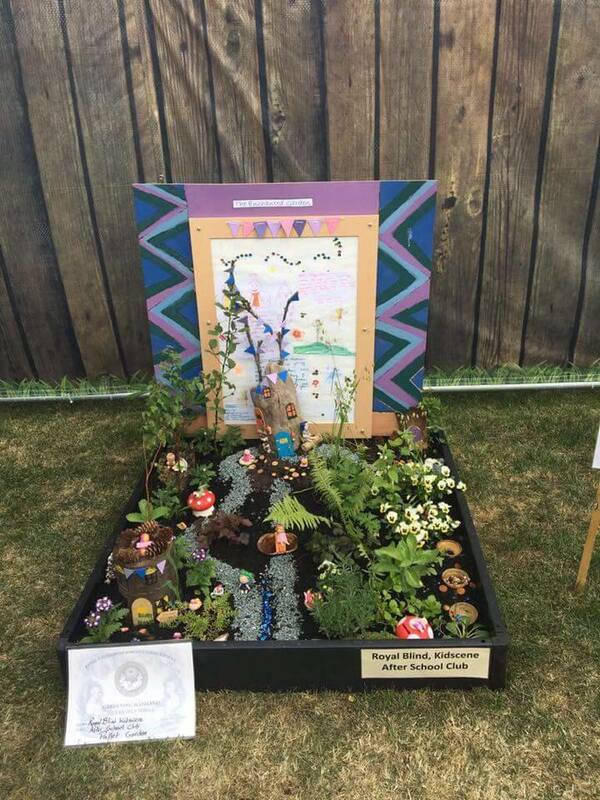 Congratulations to Kidscene for winning a silver award for their enchanted pallet garden at Gardening Scotland. 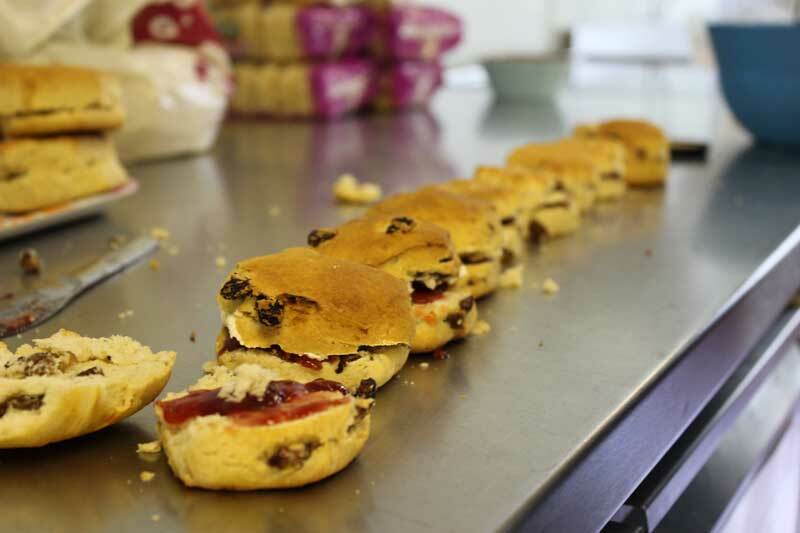 Community Food and Health (Scotland)'s capacity building fund is now open. Applicants can apply for up to £500 worth of funding. An opportunity for OSC services which want to deliver food related projects. Deadline for applications Friday 8th December. Community Food and Health have produced a useful list of funding opportunies from funders such as the Co-operative, Awards for All, Changing Lives, and Woodland Trust. Online webcam extortion is serious issue which affects all people - young and old. Find out how to protect your child and report webcam extortion in our general Keep Safe Online advice. Make sure your child is aware that they shouldn't open e-mail attachments from senders that they do not know or addresses they are unfamiliar with. On Tuesday 20 June 2017, the Children and Young People (Information Sharing) (Scotland) Bill and accompanying documents were published. The Bill will introduce a duty on public and other services to consider if the sharing of information will promote, support or safeguard the wellbeing of a child or young person. It will also ensure that the sharing is compatible with current law. The Bill specifically makes changes to the information sharing provisions in Part 4 of the Children and Young People (Scotland) Act 2014 in response to the Supreme Court's finding and intensive engagement with stakeholders which took place in 2016. The Bill also makes changes to Part 5 of the 2014 Act in order to keep the information sharing provisions of Parts 4 and 5 in alignment. The aim of the Bill is to bring consistency, clarity and coherence to the practice of sharing information about children's and young people's wellbeing across Scotland. It ensures that the rights of children, young people and parents are respected when information is shared under Part 4 (Provision of Named Persons) and Part 5 (Child's Plan) for the purpose of promoting, supporting or safeguarding children's or young people's wellbeing. The Bill process will be followed by a formal public consultation on the revised statutory guidance for Parts 4 and 5 of the Act and the Code of Practice on information sharing. The Scottish Government will work with Parliament to agree a timetable to enable commencement in 2018. “The Supreme Court ruled definitively that the intention of providing a Named Person for every child to promote and safeguard their wellbeing was 'unquestionably legitimate and benign' but young people and families must have confidence that information will be shared only where their rights can be respected. Mid-May, Bruce Adamson took over from Tam Baillie to become the third Commissioner for Children and Young People in Scotland, this post is a 6-year term. Bruce is originally from New Zealand but has lived in Scotland since 2002 and he is a lawyer with over 20 years of experience in children's rights. We would like to wish him all the best in his new post and look forward to working with him in the future. Of particular interest is the Logic Model on page 12 which considers things such as What do good leaders need? What do good leaders bring? What do good leaders do? OSCR has produced a range of guidance for charities considering changing from one structure to another that is incorporated - most often a Scottish Charitable Incorporated Organisation (SCIO). This guide does not however cover charitable companies who want to convert to a SCIO. If this applies to you then they also have information guidance on this process here: SCIOs: A Guide. Anyone who runs an unincorporated organisation (not a charity) that wants to become an incorporated charity. The National Living Wage went up to £7.50 an hour on 1st April 2017. There were also increases to the minumum wage for workers under age 25. Scottish Out of School Care Network © 2016. SOSCN takes no responsibility for the content of external websites.